The bright happy colours of the Paperloft Basics range suited the bright happy personalities of Jaimie's niece and daughter on their first meeting. Jaimie's hand drawn heart cut out in Just the Basics Fresh Cut Flowers paper broke up the rich reds of the LO, softening it just enough but not taking away from the page. 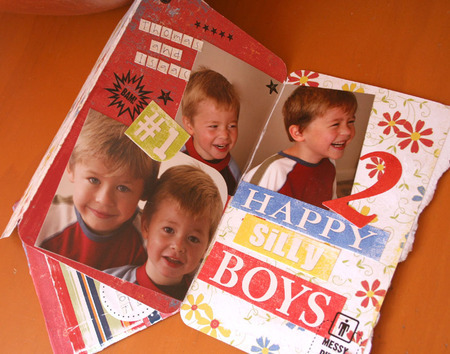 Simple additions of Heidi Swapp embellishments and Just the Basics coloured monogram alphabet stickers as the title complete the page. 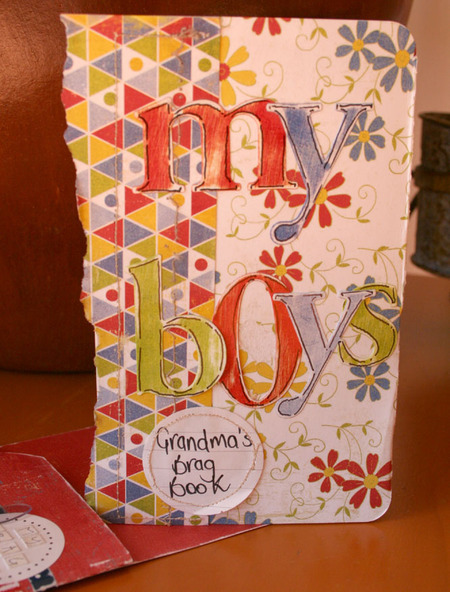 Jaimie created this charming mini brag book album for her Aunty for her to hold precious photos of her grandsons. She says that the album was very quick and easy to put together and was completed in less than 30 minutes! Jaimie's Aunt is able to carry the album in her bag everywhere she goes while its kept safe and neat held in its pocket. 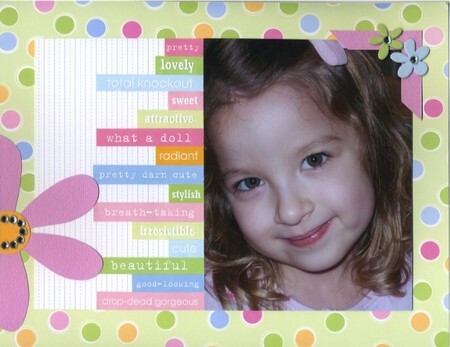 Suz used the new Just the Basics Baby Girl collection here and gave this gorgeous photo a patchwork feel using the fun pastel papers punched into fun squares. She teamed them up with new Scrapworks Shimmer Bookplates which co-ordianted perfectly and embellished with Queen & Co Bon Bon brads. Thanks to the very talented Raylene Wilkinson Photography for the shot of the delicious mite in the cute hat. Mistra Hoolahan had been wanting to scrap this crazy photo of her son Kellan for a while and when a challenge came up for her to use at least 6 different methods to create frames or outlines on a layout, I knew it was perfect... something fun and different, just like her son! 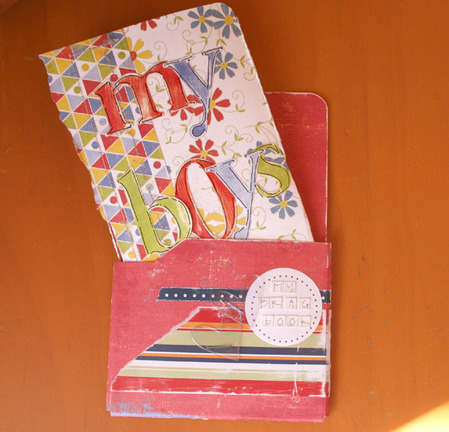 She has created a fabulous LO using Paperloft that draws your eye right into the centre of her page. 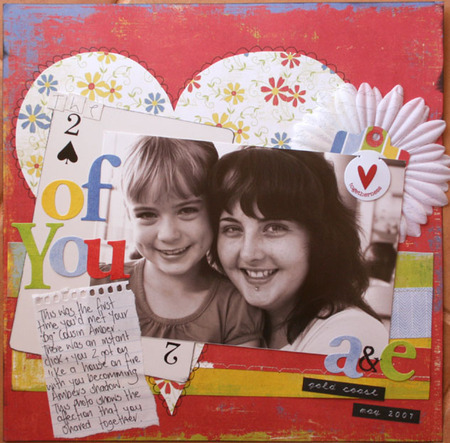 Michelle Winston created this LO as part of her DT work at Forever Always. She told us that she loves the simplicity of the look, and the dimension created by using foam tape! 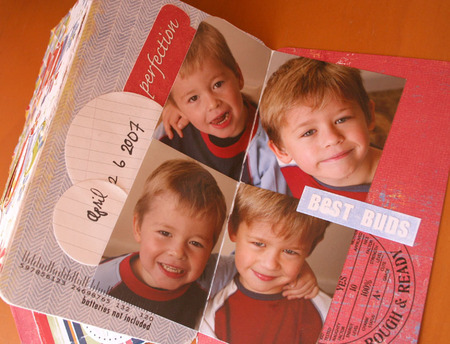 The Paperloft Well Worn papers, were the perfect way to add a modern touch to an older picture. The girl in the photo is Michelle's mother, and it is one of her favourite pictures. 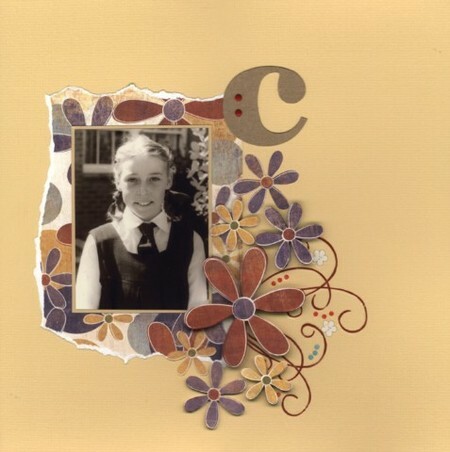 We agree Michelle you have created a gorgeous keepsake of your Mum.